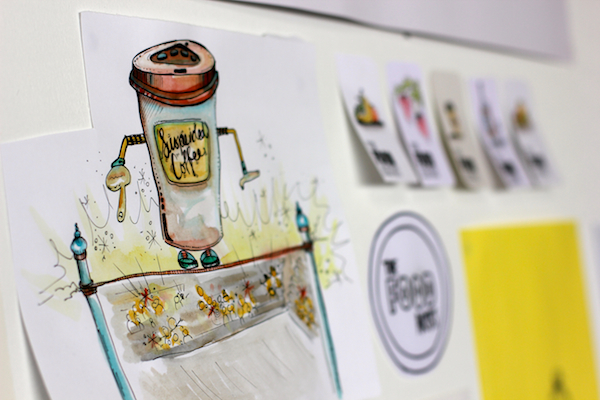 Tina and I met earlier this year when she was getting ready to ramp up her illustration business, Tina van den Broek. 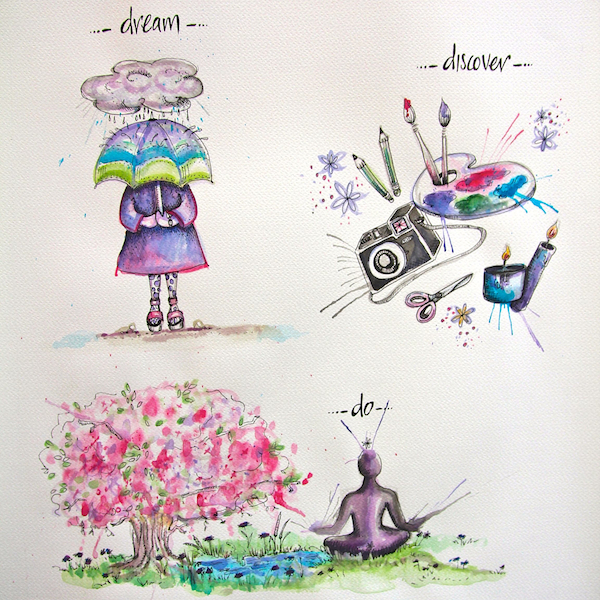 She did a gorgeous little illustration for the launch of Dream. Discover. Do. this year which we received lots of great feedback about (you can see it below). Tina’s images are lovely and she’s someone I have thoroughly enjoyed working with. Her approach to business is professional and focused on exceeding the expectations of her clients. 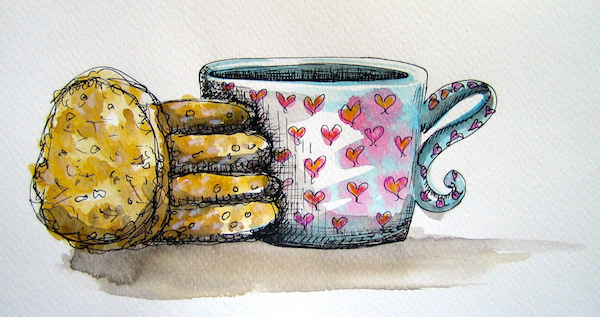 Read a bit more about her here and take a look at some of her beautiful illustrations. 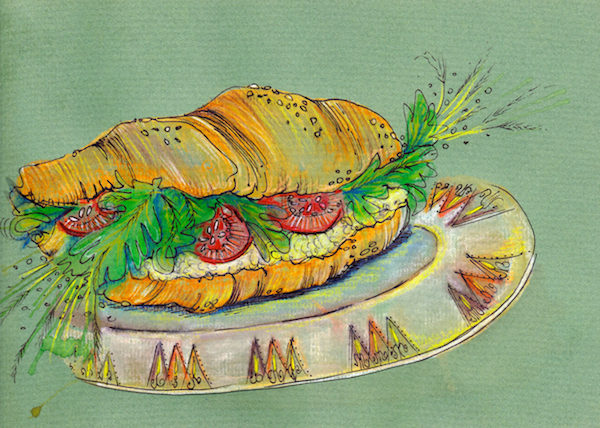 In my work I bring ideas, stories and concepts to life using food related illustration. Illustrations can be used on products, social media, blogs, printed publications, presentations, food products, websites, cafes, restaurants, pop-up stores and the list goes on. It’s called “Food Communication”. Over the last few decades we have witnessed a rise in food-focused consumption, media and culture such that there has been what we could label “a food explosion”. It seems as though food and the discourses surrounding it are all over the place, from Jaime Oliver‘s ventures into American school lunchrooms to news stories about urban gardening or buying organic products at the local farmer‘s market. 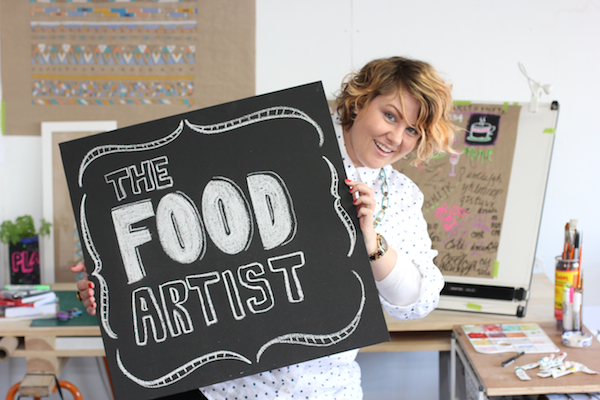 There is a heightened awareness of food‘s significance within contemporary society and culture and The Food Artist wants to explore this visually! Variety, as no two days are the same. I like that I can plan my day so that I get to enjoy the mornings. I also love how I can take my work in any direction I want or explore any avenue. Wake up 7.30am, go to the gym, have a hearty breakfast, shower and prepare myself for the world to see. The rest of the day then revolves around either meeting with clients, networking/marketing/researching, studio time, social media and communications. There are also admin tasks that I need to take care of. A part of me thinks that I should have started my arts business sooner but I believe that without the other careers and experiences in my life, I may not have been able to bring this idea to fruition. So far I’m pretty happy with the way things are going and there doesn’t seem to be anything I’d change. It would have to be Clare Bowditch, from Big Hearted Business. Big Hearted Business is, essentially, a website and now a movement. It supports and educates people from all walks of life in the art of making a living doing what you love while taking care of yourself and contributing to the world in a meaningful way. Marie Forleo is a great source of inspiration and encourages me to create a business and life that I love. What’s been the best thing you’ve done to grow your business? It has been a combined effort of investing in myself, from going to workshops and seminars, reading and researching, to finding a good supportive business mentor or coach (like Kate). Secondly, in order to grow, you need to meet and connect with others. Recently I participated in an expo that placed me in front of audience who could specifically benefit from my services. How did coaching help you? Coaching provided an opportunity to voice my concerns and fears in a constructive manner. I was listened to and given guidance of ways to overcome these issues by taking action. Additionally, I love how inspired I feel after the session. I leave full to the brim with ideas and next steps to take, as often little issues that were holding me back have been transformed into do-able, enjoyable tasks. Often you can’t plan it, it just happens. Some of the simplest and most banal objects stir interest in me, from a plate or some cutlery to the bread tags on packaging. I also enjoy reading Dumbo Feather magazine, Lucky Peach magazine and The Design Files. Sometimes just going to a food store, café or restaurant is a good source of inspiration as I get to notice the little things about the experience that I may be able to use in my work. What are you cooking at the moment? At the moment I am really into making slaw and dressings. We just got a mandolin slicer for the kitchen so anything I get my excited little hands on goes in the mix. I love the colours of the vegetables once they get sliced and grated together. Then I have fun making a salad dressing to complement it. That is a good question. If you find the answer can you let me know and then follow me around to make sure I do it? Every day is different but I think checking in and seeing how I’m feeling and listening to my body is important. I try to spread tasks out over the week rather than leaving it to the last minute. Fresh air and exercise play an important role too, even if it is only half an hour each morning. I’m looking forward to seeing where I can take The Food Artist in terms of what services and products I can offer. I am starting to work on some ideas for products, which is exciting. As food communication is a fairly new concept, I am looking forward to learning more about it and how it is already being used in the world today, and sharing that with others. What’s one piece of advice you’d offer to someone wanting to go into their own startup? Ask yourself if you are committed and passionate about what you do. Question whether or not you are willing to lay everything on the line to do this. Consider who your support network is and have those people in place so you can go to them for help. Last but not least, have fun! It will be crazy busy but it should still be enjoyable.